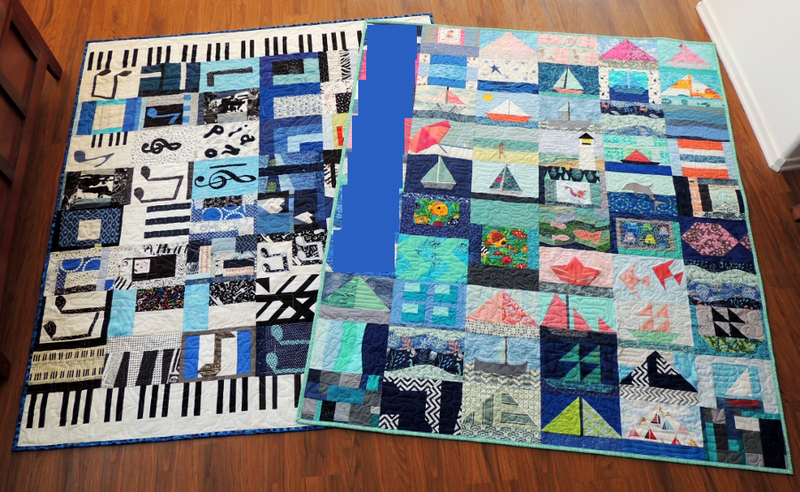 Miss A, Mr. L, their mom, and I want to thank everyone who contributed blocks to the making of these quilts from the bottom of our hearts. I had no idea that the kids would want to be so involved in the making of their quilts, and the process has been truly a wonderful experience for all of us. Thank you so very, very much. The kids did an awesome job making blocks, sewing together their quilt tops, and quilting their quilts! They picked out the fabric for the backing (which was also the same fabric used for the binding on each quilt). 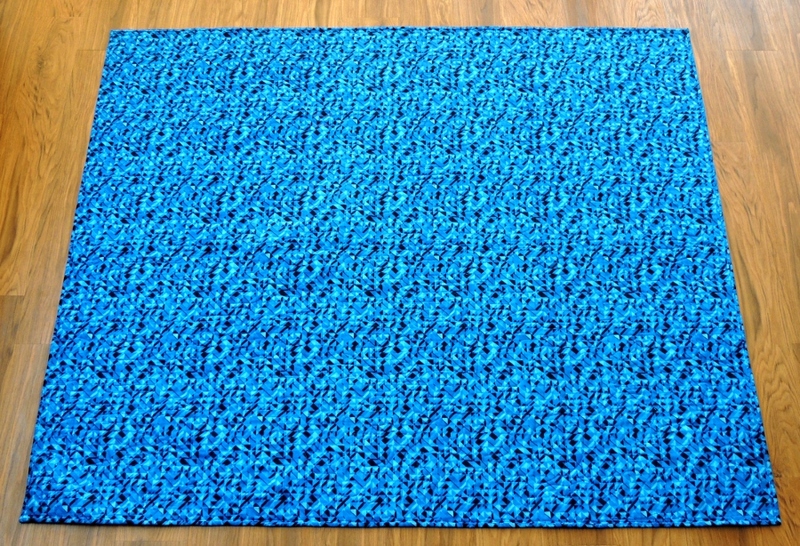 And I am excited to say that we are going to work together to make a quilt or two to donate to Project Linus. They want to keep quilting. With me. *Swoon*!! 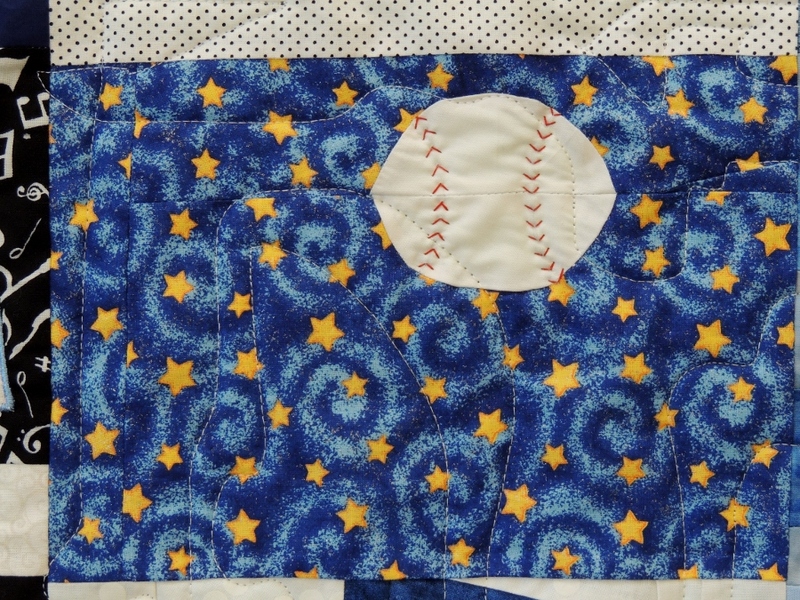 The second block that Mr. L pieced for his quilt is this baseball block. After he finished the quilting and I put on the binding, I went back with some red thread and hand quilted on the stitches for the baseball. So has is sunk in that Mr. L pieced an amazing circle, yet? These kids: they have no fear. They have an idea and I do my best to help guide them and talk about how to make it happen. And then boom: a baseball. It is amazing and thrilling for me to watch. When Miss A finished quilting her quilt, she laid it out on the floor and implored Puppy the cat to come lay on it (“Puppy, why don’t you lay on my quilt? You always lay on <Mr. L>’s quilt?”). I got out Puppy’s brush and she proceeded to win him over with lots of gentle affection and care. And in the end he was sprawled across her quilt. When I was working to get the binding ready to stitch down, he came over to inspect my work and make sure I was doing it right. So, Miss A, Puppy is keeping a careful eye on things for you when you are not around! 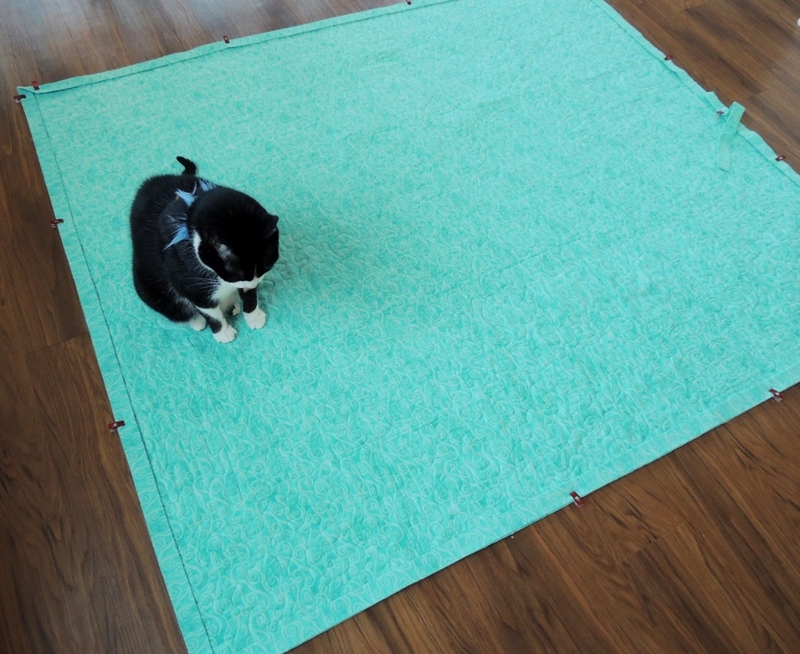 Miss A used 50wt Aurifil 1148 (light jade) to quilt her quilt, and I used it to stitch down the binding as well. Miss A’s quilt weighs 3.5 pounds. 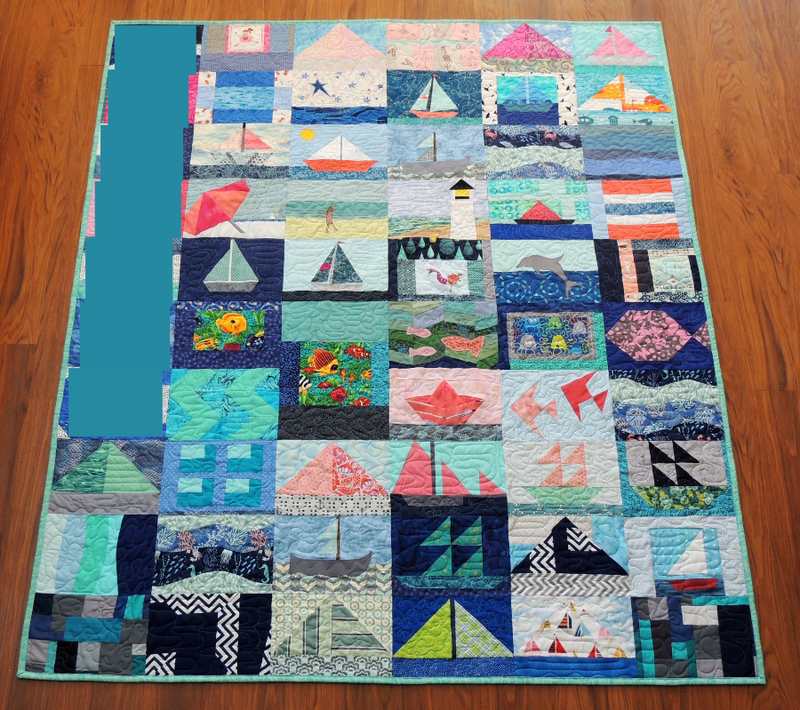 Prior to the first wash, her quilt measured 55.5-inches by 65-inches, and after the first wash it measures 52.5-inches by 61.5-inches (~5.5% shrinkage). Mr. L used 50wt Aurifil 2021 (natural white) for the top of his quilt and 50wt Aurifil 2735 (medium blue) in the bobbin. I also used 2735 to attach the binding. Mr. L’s quilt weighs 3.5 pounds. 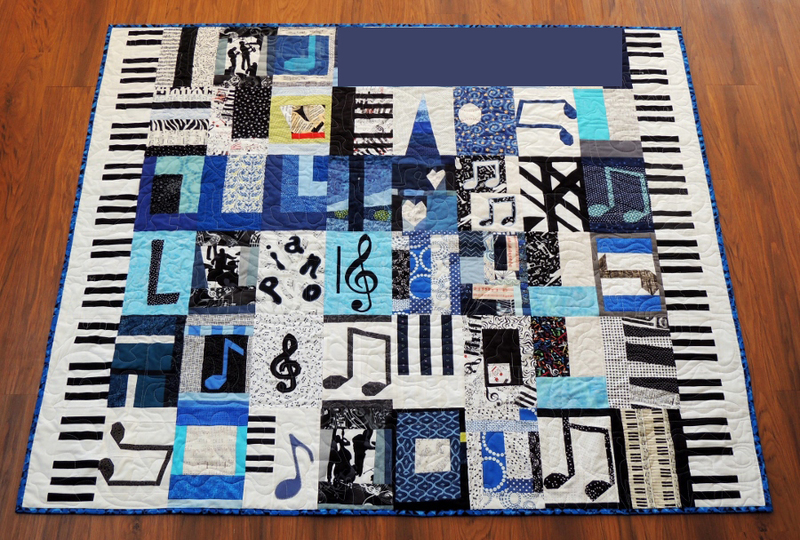 Prior to the first wash, his quilt measured 56-inches by 64.5-inches, and after the first wash it measures 52.5-inches by 61.5-inches (~6% shrinkage). Each quilt maker proudly rolled themselves into a quilt burrito to give them a try, and I know they are going to have a lot of pride of ownership and use over the years. 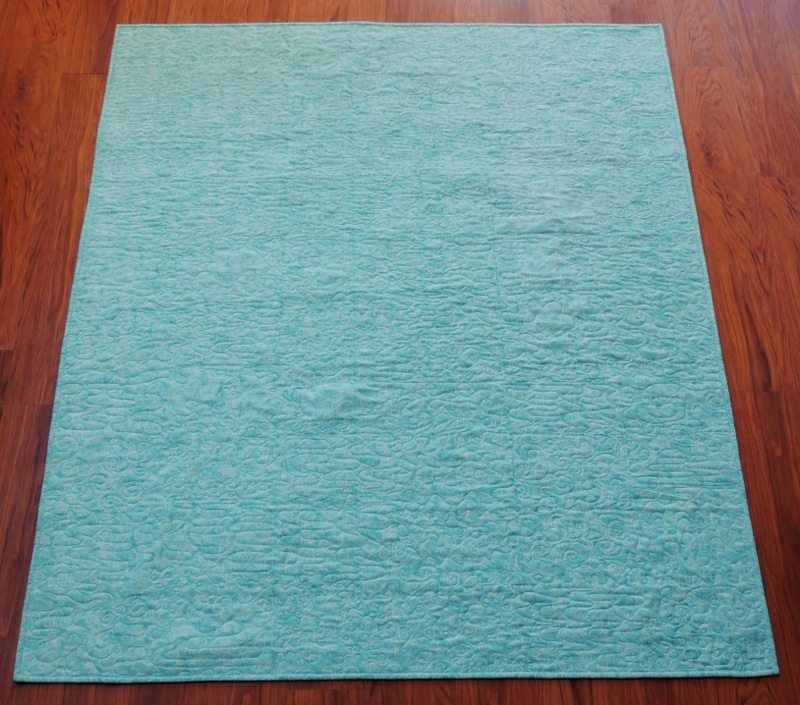 Linking up with Finish it Friday @Crazy Mom Quilts. Fantastic Yvonne – Great to see the finished quilts – you and they did an amazing job and I’m sure these will be treasured for years to come. These are so lovely to see all finished and knowing that the kids helped (with your guiding hand) makes them even more special. I bet you have a very full heart at the moment – well done Yvonne! How very special to see these quilts by Miss A and Mr L finished. The pride you have for these two shows clearly in your post. I can only imagine the sense of pride and accomplishment these two have for themselves. Well done Yvonne!!! Proud kids, and righfully so! The quilts are amazing! Teaching is hard, teaching children is harder! Congrats Yvonne! They will remember this forever! That this project with Miss A & Mr. L feels so gratifying to you really comes through in your post. You’ve made a difference to these kids and it shows. Congrats to the kids for their successful finishes, and kudos to you for spearheading this project. This is so thrilling Yvonne and it’s easy to see that you feel that way too! I seriously gave Mr. L’s baseball a few scroll backs, wondering how he got it so perfect. A Miss A was very funny with wanting Puppy to lay on her quilt too. Both of them are natural born quilters and I think they have the perfect teacher in you! Love the way their quilts turned out! 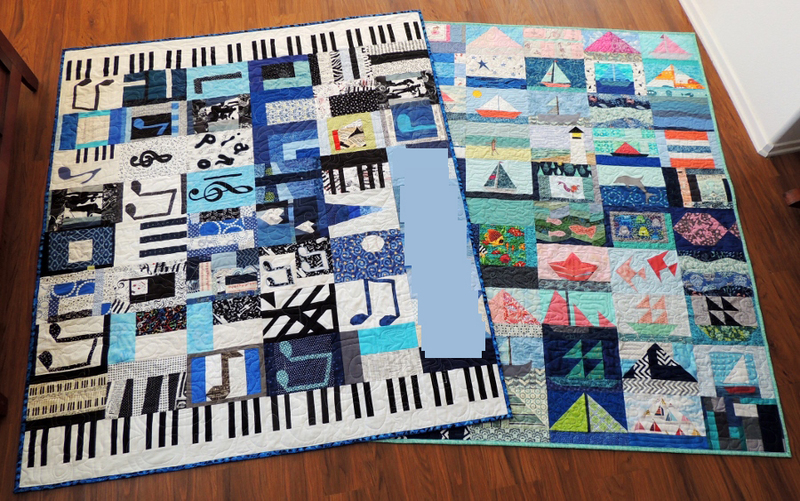 I have sure enjoyed reading about the progress made on these two quilts. And the progress made in your friendship with them, Yvonne. Lots of love went into making of the blocks and your sharing of your skills. Both quilts turned out beautifully. So glad to hear both of the kids want to Keep On Quilting On! You are such a wonderful facilitator, Yvonne! These quilts are gorgeous and I teared up thinking about how meaningful this process has been for everyone involved – both directly and even indirectly as observers. Thank you for sharing! What spectacular quilts they have each created! It was wonderful reading your post and feeling the happiness and pride that you felt helping them. Thank you for sharing and have a wonderful creative day! Both quilts turned out wonderfully! I love that they were so involved and you all enjoyed the process! It’s so cool that they want to continue quilting. Cheers to a good teacher! 😉 The aqua on the back of the ships quilt is a great color. It’s so wonderful that they enjoyed the process so much they want to keep quilting with you! Their quilts turned out so beautifully, and I’m sure they’ll be treasured for years to come. I have followed this story from the start and found it deeply moving. The quilts are truly beautiful and the children can be rightly proud as you can be facilitating this venture. But I think you have done way more. Having been in the same situation as the mum being left with young children on her own after losing Dad I well remember the very bleak early days when normal had gone out the window and you were desperately trying to establish new routines around such a huge gap as well as dealing with the emotional loss. Distraction, new things to do and places to go were desperately needed to avoid empty times and I’m sure this creative activity has been a great blessing to all of them on so many levels. You really took this project a step further. It is so nice to hear about the interaction the kids were able to get. Well done! Now you have two helpers. How cool is that! OK … three helpers, including Puppy the cat. Teaching kids to sew can be a challenge, so well done to you too. You are so kind to have spent time with Miss A and Mr L, sharing your talents and skills with them. I’m sure you are a light in their lives and they have these gorgeous quilts to cherish for the rest of their lives. Lovely! Love their commitment and artful work! Congrats! They both look really beautiful, and such special quilts for all of you, I’m sure they will be in constant use and treasured at the same time. So great that you have plans for more too, that way none of you have the end of project anti climax and all that creativity continues in a good cause. They both turned out beautifully. And that’s so exciting that they want to continue quilting with you!!! Swoon, indeed!